Ireland kept the Associates' flag flying high throughout the competition, and central to their plucky performances was their captain. Although Porterfield didn't play a leading part in any of Ireland's three wins, his leadership on the field and off it - where he passionately argued against the shrinking of the next World Cup to 10 teams - made an impression. Porterfield's best performances came against two top teams: India and Pakistan. His century against Pakistan in a must-win encounter eventually proved futile. There were a few eyebrows raised when Buttler was appointed vice-captain of the England side. His value as a wicketkeeper, apart from his work ethic and calm, were perhaps factored in. The stage, therefore, was set for him to showcase his utility in the lower middle-order in a tricky chase against Bangladesh. Buttler played himself in and looked good to seal the game, but his dismissal culminated in England's defeat and eventual exit from the tournament. Buttler had also made an unbeaten 39 off 18 balls earlier against Sri Lanka, again in a losing cause. Ed Joyce has in the past spent considerable time switching between England and Ireland. He represented England in the 2007 World Cup before reverting to Ireland in the next edition. There was further vindication of that decision this time around when he was at the heart of two significant wins: after scoring 84 against West Indies in a match where Paul Stirling and Niall O'Brien also contributed substantially, Joyce struck a 103-ball 112 to set the foundation of a match-winning total against Zimbabwe. 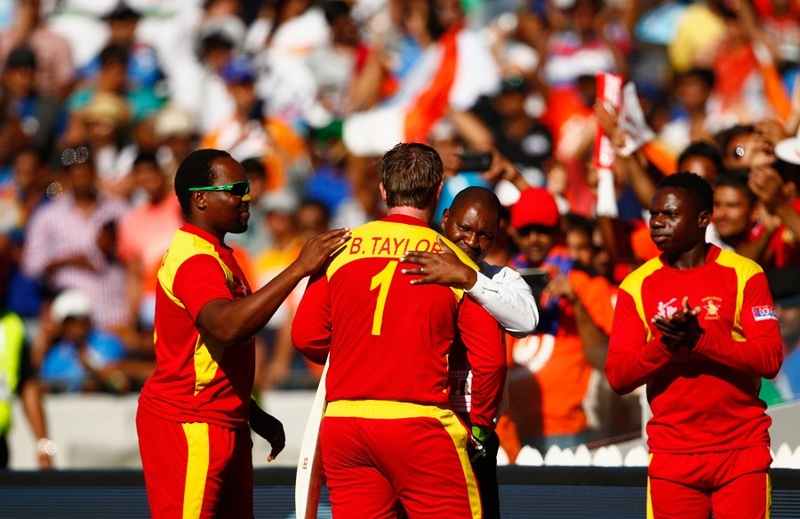 It's impossible to gloss over the poignancy of Taylor's two recent centuries coming in what were, for now, his last two innings for Zimbabwe. At the end of the league phase, Taylor had more runs than AB de Villiers and Tillakaratne Dilshan in the World Cup, and was the second-highest scorer after Kumar Sangakkara. His hundreds against Ireland and India came at a strike-rate of 125-plus. 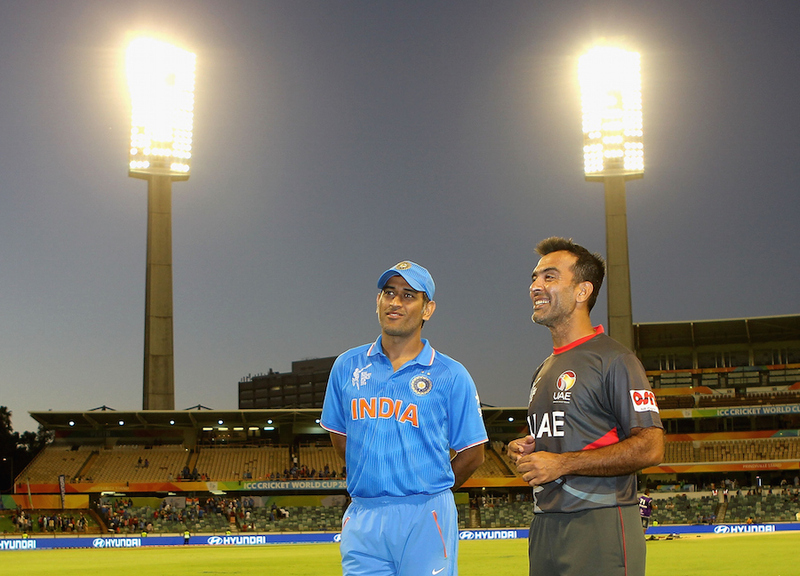 In the India game he came in after the fall of two quick wickets and counterpunched spiritedly. Zimbawe coach Dave Whatmore said Nottingamshire, with whom Taylor, 29, has signed a Kolpak deal, were "very, very lucky" to have him. Zimbabwe evidently not so lucky. "Anwar's doing very well in the team and he's such a confident individual that we call him 'Sir Viv' in the dressing room - that's his nickname," UAE captain Mohammad Tauqir said after Anwar's 62 against Pakistan. You can't fail with a nickname like that. An employee with a shipping firm, Anwar was the highest-scorer at the halfway stage, and became the first UAE batsman to score a World Cup hundred. Not long before Taylor announced his decision to pursue a Kolpak deal, Williams, 28, was ready to walk away from Zimbabwe. In this tournament, he and Taylor have provided their team with runs and plenty of them. In Zimbabwe's agonising defeat against Ireland, Williams chipped in with three wickets before partnering Taylor with the bat. There was an encore, against India, of the Taylor-Williams show, and Williams rounded off his campaign with his fourth half-century. 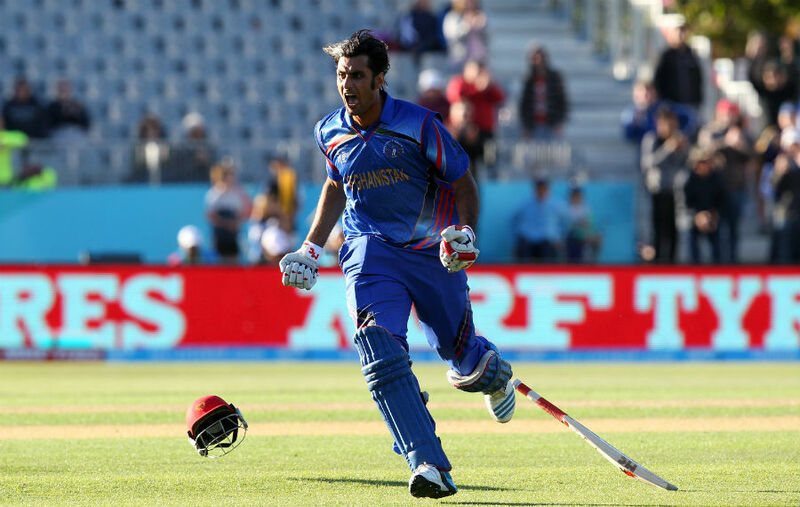 Before Shapoor Zadran set off on his delirious run, it was Shenwari who had set the base for Afghanistan's first win in the World Cup, over Scotland. He ground out 147 balls before being the ninth man out. He played useful hands against New Zealand and Bangladesh as well, and finished as Afghanistan's highest run-getter in the tournament. For Davey, the step up from a little-known seamer of an Associate side to the highest wicket-taker in the World Cup - even if briefly- was as rapid as it was remarkable. It's certainly good enough to update his Twitter bio that until now describes him as "Entrepreneur and chocoholic." Davey's first notable performance was a three-wicket burst as Scotland ran New Zealand scarily close. His performances thereon went north; an economical two-wicket spell in a gutting defeat versus Afghanistan was followed by a five-for against England and the wickets of Sangakkara, Dilshan and Jayawardene against Sri Lanka. One image is certainly likely to catch the fancy of TV production crews when they put together a World Cup montage as the tournament winds down: that of Shapoor, fists clenched, bolting at full tilt before spreading his arms and falling onto the ground in sheer elation after striking the boundary to accomplish Afghanistan's historic triumph over Scotland. But there was more to the left-armer than his strapping build, shock of hair and Shoaib Akhtar-inspired run-up, as his four-for in the aforementioned game showed. Shapoor, who watches videos of Wasim Akram the night before every game, turned in sturdy performances against Sri Lanka and New Zealand, too. That he can perform the Attan, the Afghan war dance, fits in snugly with his rockstar persona. If Shapoor features in the montage, Hassan's ungainly cartwheels can't be far behind. With a headband and Afghanistan's colours smeared on the cheeks, Hassan's Rambo avatar is the sort of thing television feeds on. It helps he can bowl fast, and has a big heart. He produced that sort of a performance against Sri Lanka, who were nearly stunned by Afghanistan. "If I'm doing something wrong in a match, I watch myself on the big screen and when I touch my face, I get paint on my fingers," Hassan told cricket.com.au. "And I say 'You're playing for your country, think about what you're doing here'." Tauqir, at 43, became the oldest captain in World Cup history. While he wasn't even the leading wicket-taker in his own team, his loopy off-spin made him the stingiest at 5.26 an over. Tauqir's off-field success wasn't insignificant either; the good-natured bluster sprayed with humour endeared him to many. Just look up his comments on having a "lot of cleaning of shoes" to do, or how UAE would avoid conceding 400 against South Africa only if they batted first. An investment banker by day, Tauqir, one of the two Emiratis in the squad, will go back to his "waiting employers" a more popular man.